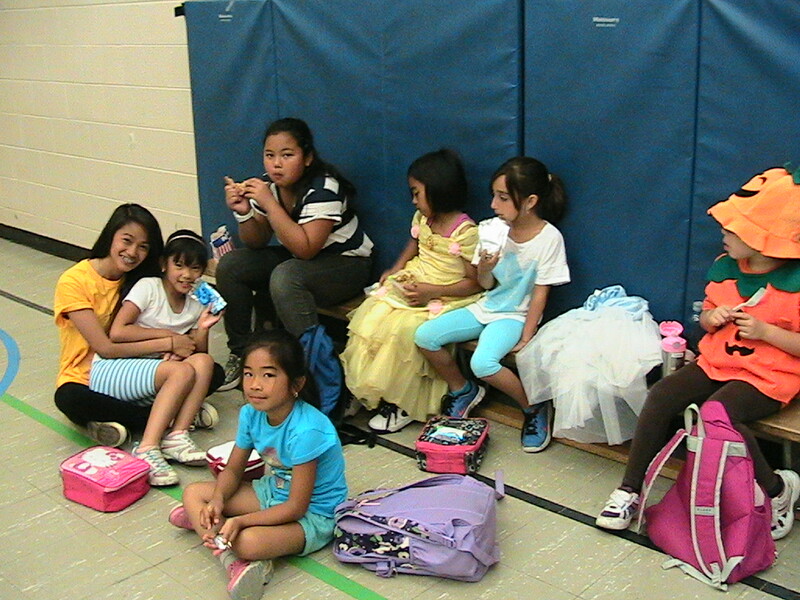 Triple Balance Community Services has been part of the TCDSB’s Focus on Youth program for 3 years. 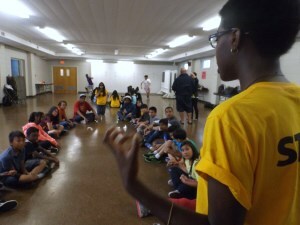 Their summer camp’s mission is to provide an affordable, fun and fulfilling program to connect families and youth to recreational activities. 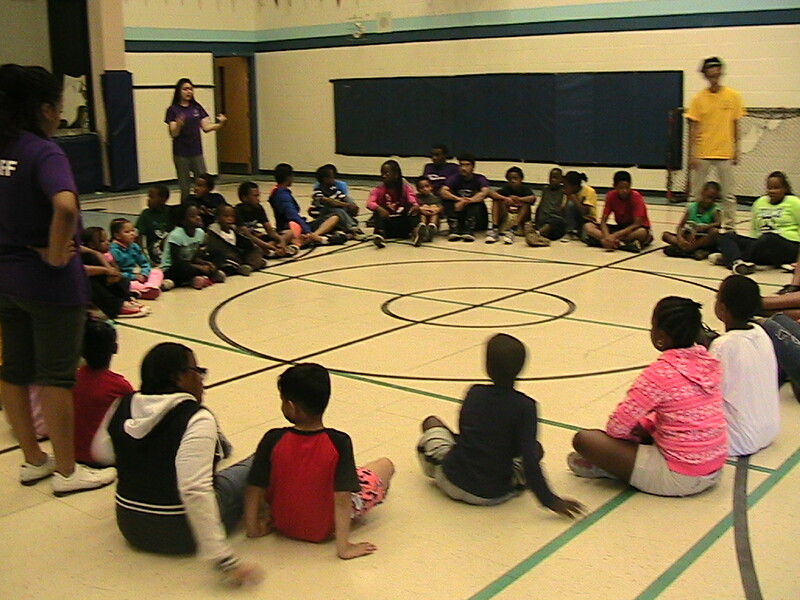 The summer camp program is designed for recreational purposes such as arts, sports and leadership activities. Their week’s schedule also include group excursions to educational and fun sites such as the Ripley’s Aquarium and the Ontario Science Centre. 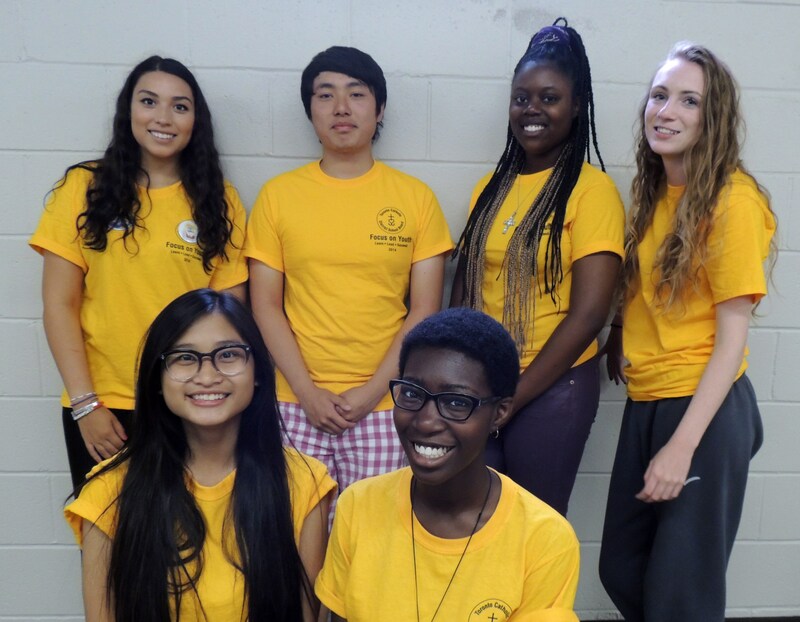 With the help of Focus on Youth’s staff, Triple Balance’s summer camp has helped expand its program to more participants, providing a safe setting for youth helping students enjoy their summers. The campers start each morning with different activities. They are sitting and listening to instructions for their morning activities. Tropicana joined Focus On Youth because of the well trained staff they get and the positive impact that staff make on the camp. During the months of July and August, Camp Tropicana is committed to providing a summer camp that is meaningful, educational, stimulating and full of FUN! FUN! FUN! All age groups are involved in camp activities at varying levels. Camp Tropicana endeavors to stimulate and motivate campers while supporting them in their personal growth. Tropicana was founded by Robert Brown 34 years ago to assist with the transition for those emigrating from the Caribbean. take “tropi-” from Tropical and “-cana” from Canada, and an easily recognizable name is created. FOY Staff get involved in a fun game of Huckle Buckle. 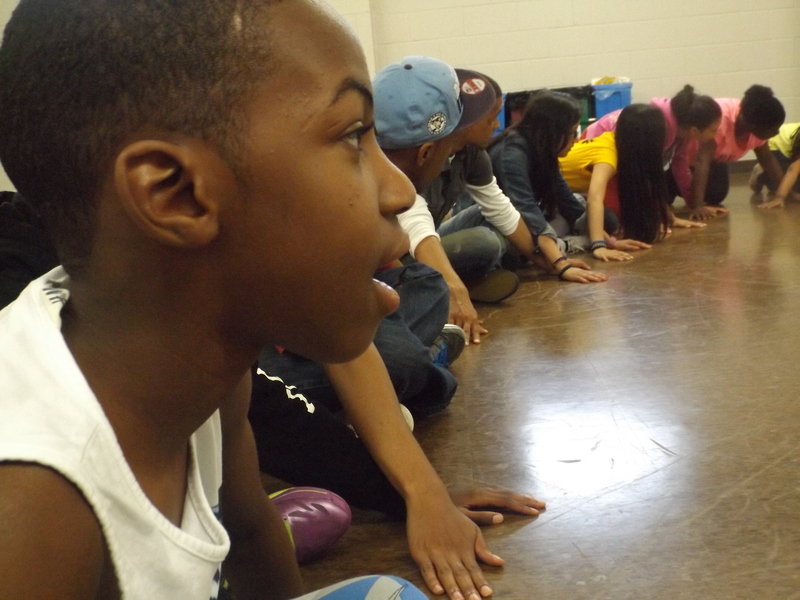 A typical day at Camp Tropicana starts off with a game lead by Focus on Youth Staff. Then, campers head to age-specific classrooms. They will play games with the staff in their classrooms, learn lessons, and have meals with their counselors. In the afternoon, campers participate in various activities such as swimming, low-organized games, or other sports. Often, Kaleidoscope, a group that teaches the kids various skills in relation to Caribbean culture such as dancing, singing, and drumming, will partner with Tropicana to deliver their program. Camp culminates with a showcase event for parents, with campers taking from all aspects of the camp to demonstrate what they have learned and experienced. Studio 15 is a community arts and music program located at the Kingsview Free Methodist Church. 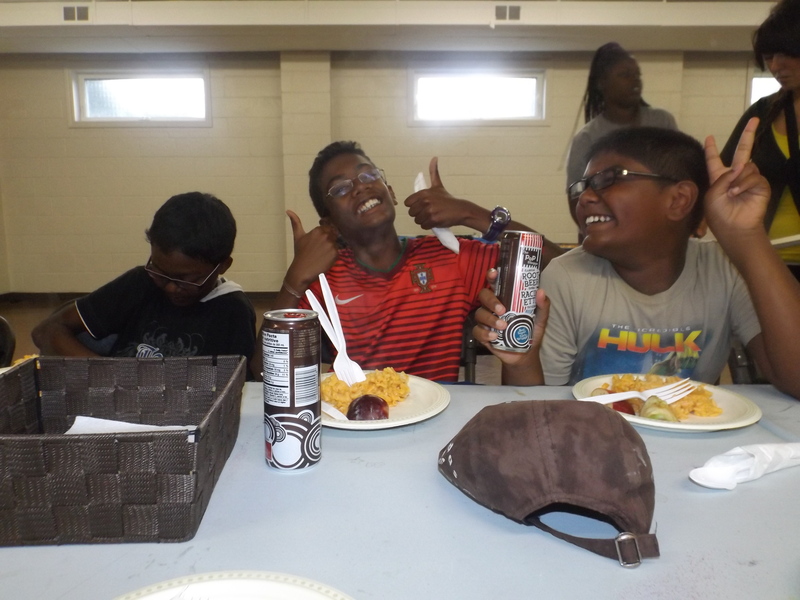 The faith-centered organization utilizes music and arts to develop creativity and leadership skills of kids in and around the western Etobicoke area. 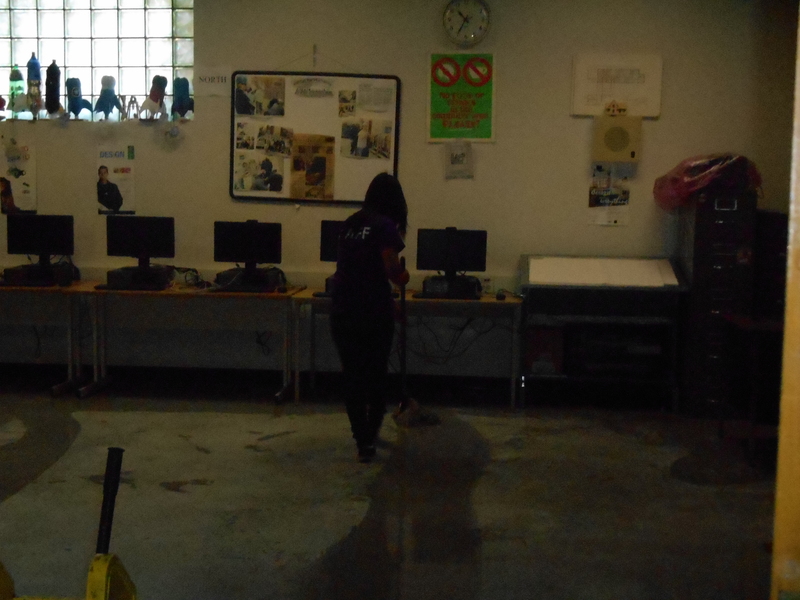 Studio 15 was officially launched by Kingsview FMC in October 1, 2011, after having much success in their arts summer camps. It is designed for students in Grades 6-12 (ages 11-17) who are passionate about arts, sports, and academics. 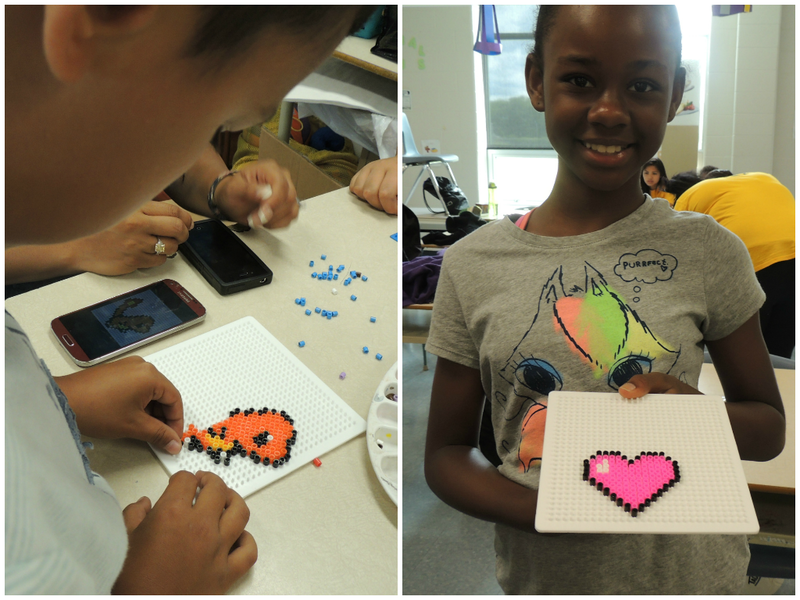 In addition to their summer camp arts program, Studio 15 offers fall, winter and spring programs, march break camps and homework help after school. 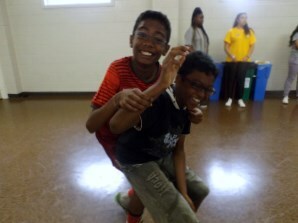 Campers caught in a tangle while playing Human Knot! 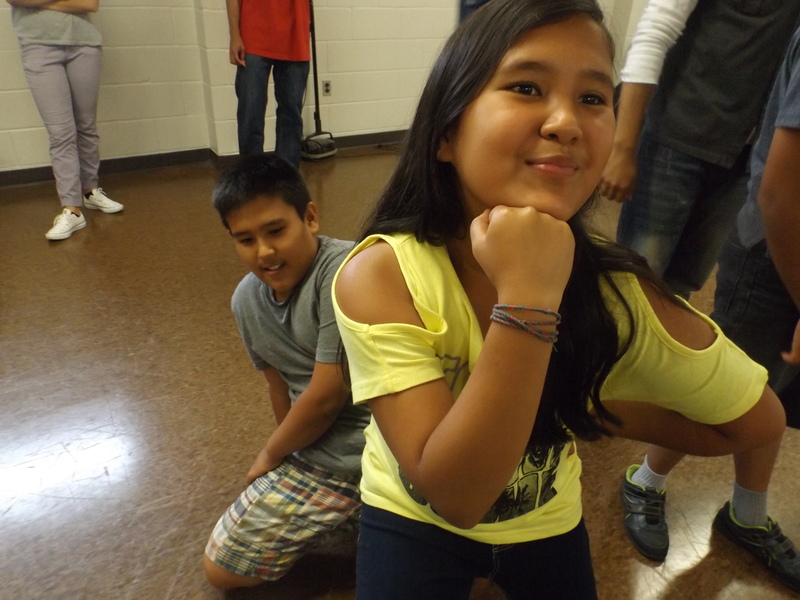 Their summer program runs for six weeks through July and August, focusing on visual arts, drama, music and creative writing. In addition, the program includes bible studies and trips every Thursday. This summer program is available for kids ages 11-15. Knights, Horses and Cavaliers… KNIGHTS! During the school year, Studio 15 offers after school help Mondays to Thursdays from 3:30-4:30 pm for students grades 5-8. 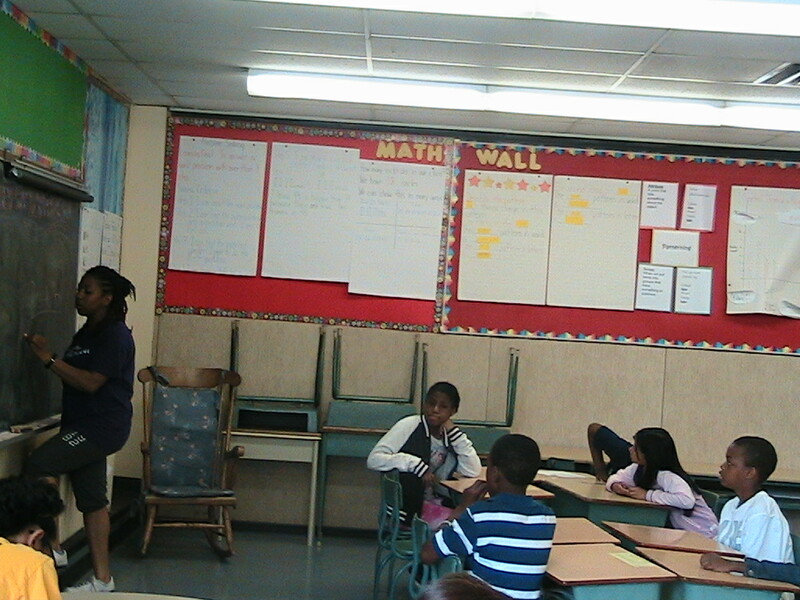 The program includes tutors, quiet space and snacks to create a great learning environment. Studio 15 is a great place to learn, grow, and surround yourself in a positive and artistic environment. A princess and a knight! The Child Experience Summer Camp is a non-profit organization created to give children ages 6-12 a fun and active summer. 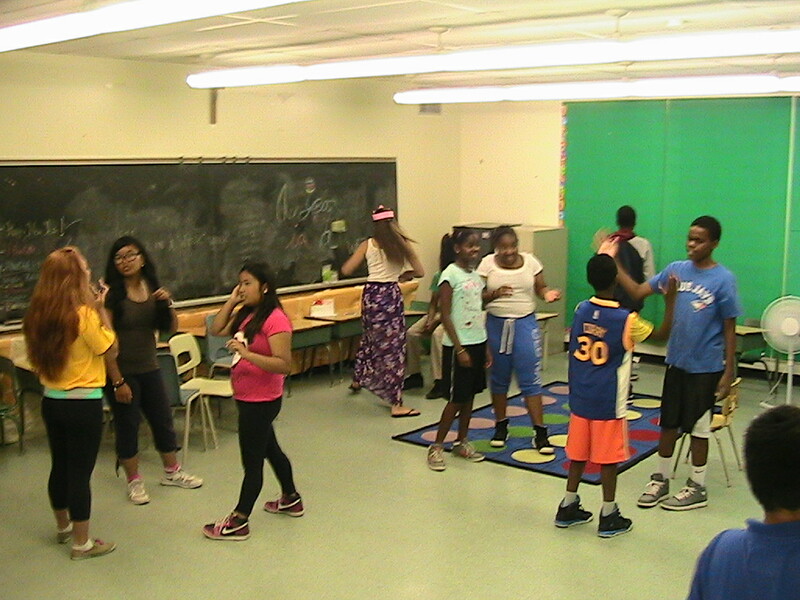 Campers creating handshakes for drama. The programs are student led, and student planned. 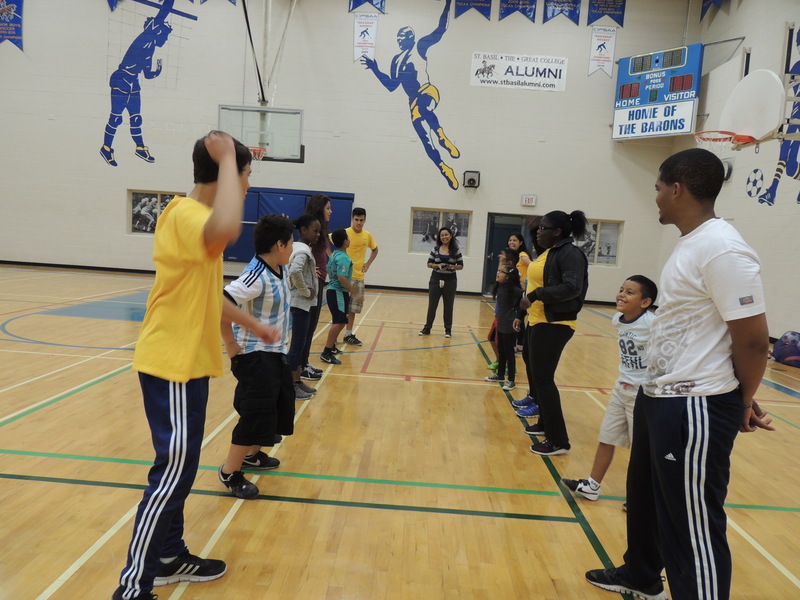 Sports, drama activities, and arts and crafts are the main focus of their programs. Campers are encouraged to participate in all three activities every day. 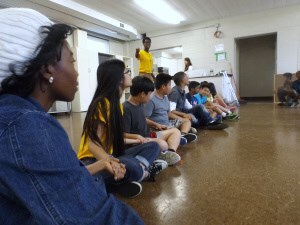 Also, the campers take part in games, songs, cheers, and small and large group activities. Camper playing on monkey bars at the park. The main focus of The Child Experience Camp is to provide an affordable summer camp experience. Every day, the campers rotate to different stations three times. The stations include physical activities, arts and crafts, and drama. There are scheduled visits to parks, pools, and splash pads within their community on a weekly basis. 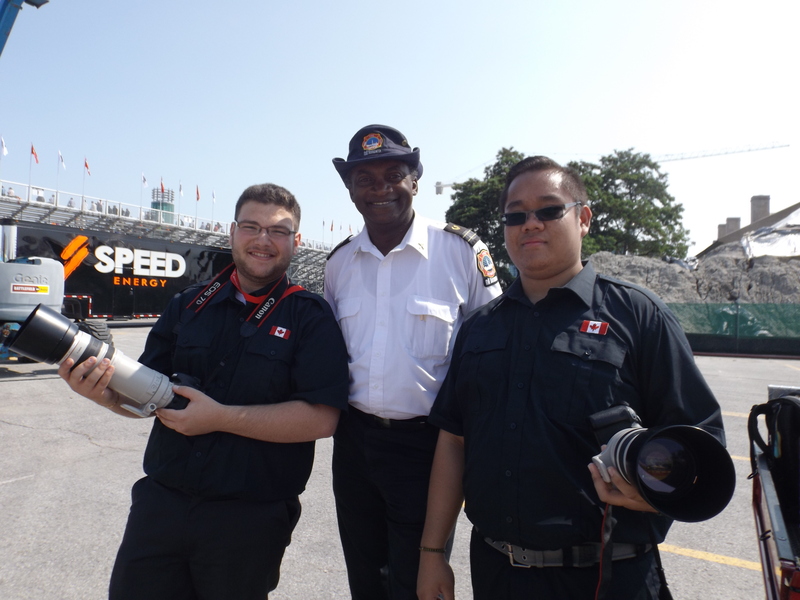 The camp also have field trips to a variety of destinations within Toronto. Additionally, inter-camp events occur, where two or three camp locations come together for competitions and activities. 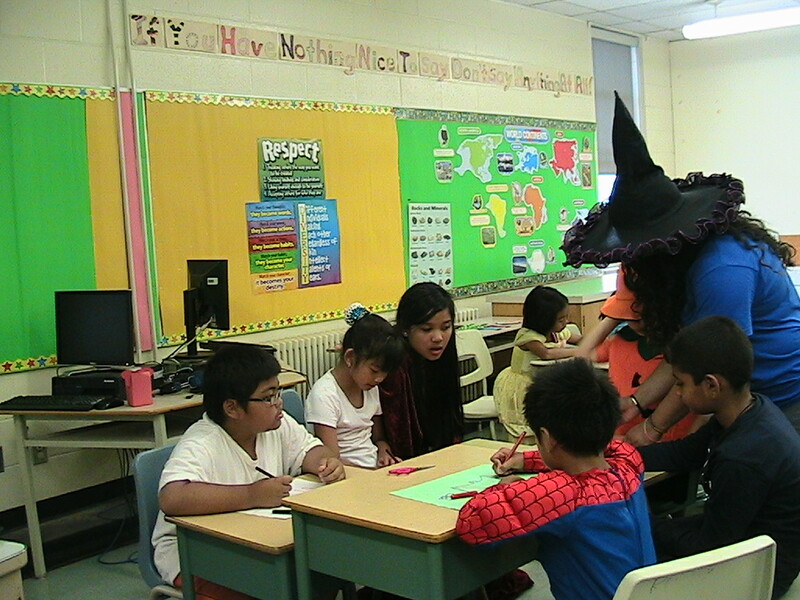 Campers creating monsters for Halloween Day. FOY staff eating snacks with the campers. 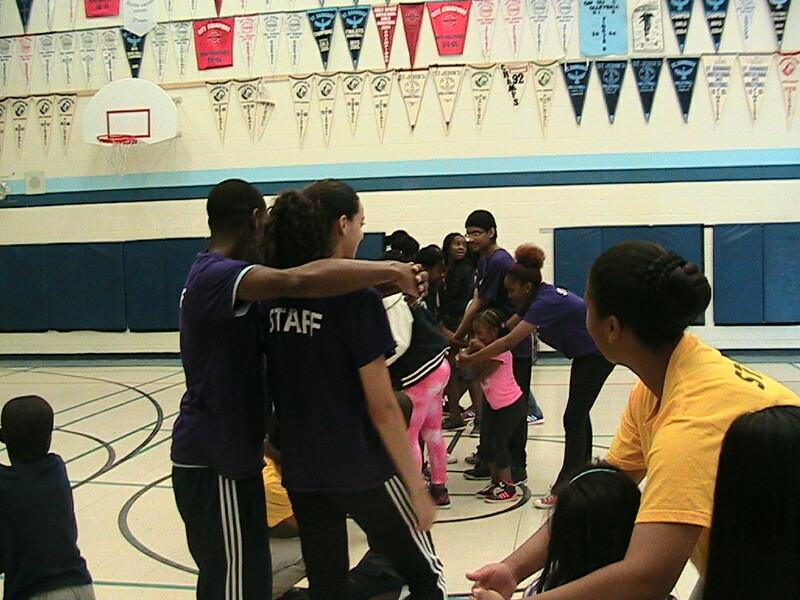 Leadership and team building skills are just some of what the kids come away with. 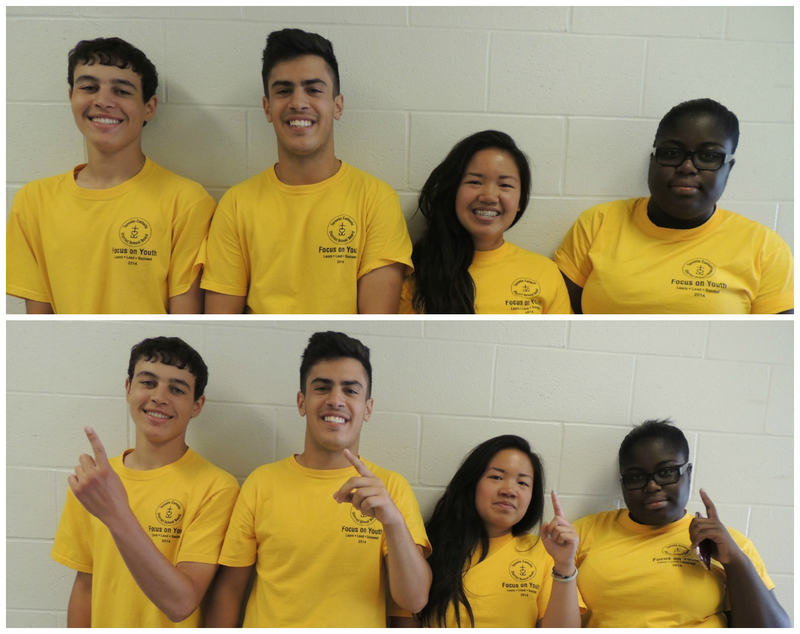 Campers who attend The Child Experience Summer Camp are inspired to be leaders and counsellors. 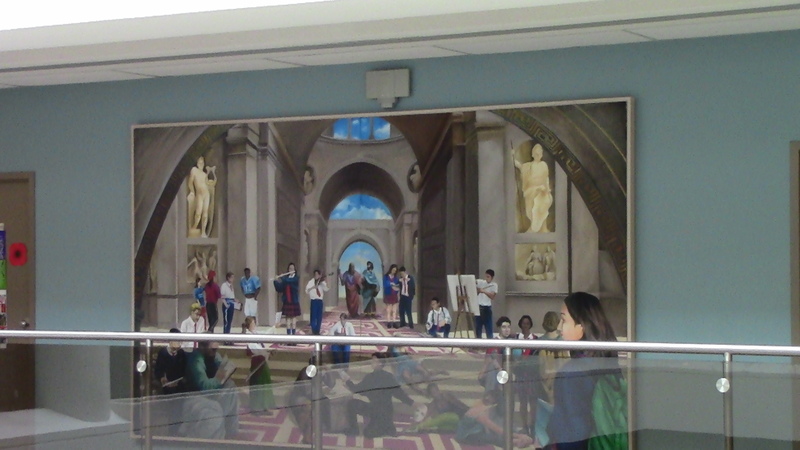 The Toronto Catholic District School Board Administrative department was created to give students the experience of working in an office environment. 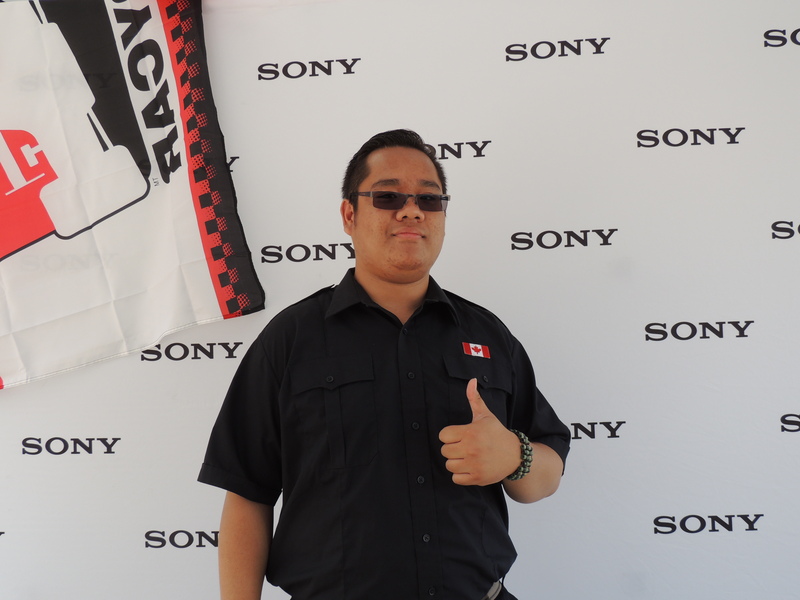 Located at 80 Sheppard Avenue East. The TCDSB is a friendly work environment. Khris Persaud posing for the camera! 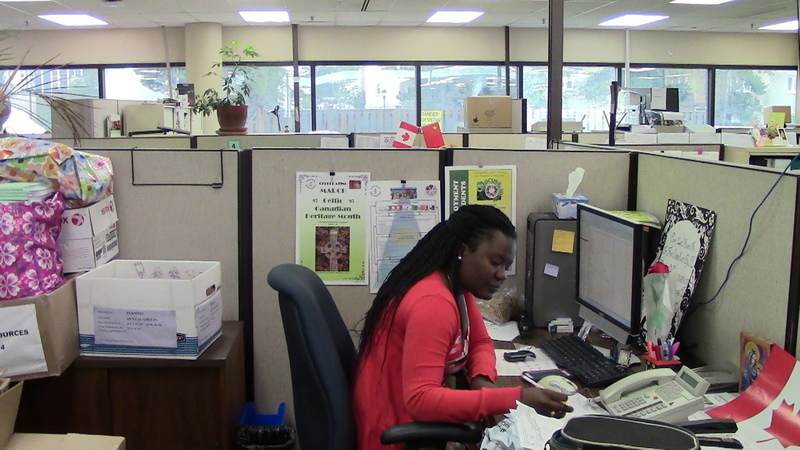 The Administration program runs for six weeks beginning at the end of June from 9am to 5pm on Mondays to Fridays. The Focus on Youth administrators plan and co-ordinate all events that prepare students to perform their jobs to the best of their ability. They are also responsible for making sure all the students are paid. 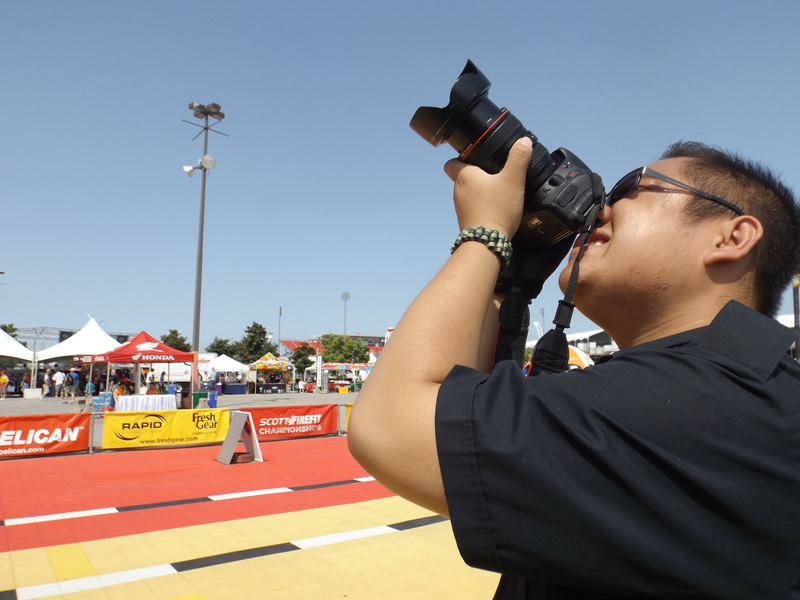 All in all, they make sure that they deliver quality programming for their students and so that the students will find their summer to be a meaningful and valuable experience. Janelle Curtis looking great at work! This department was created to ensure that all the paperwork for all the Focus on Youth students was taken care of. 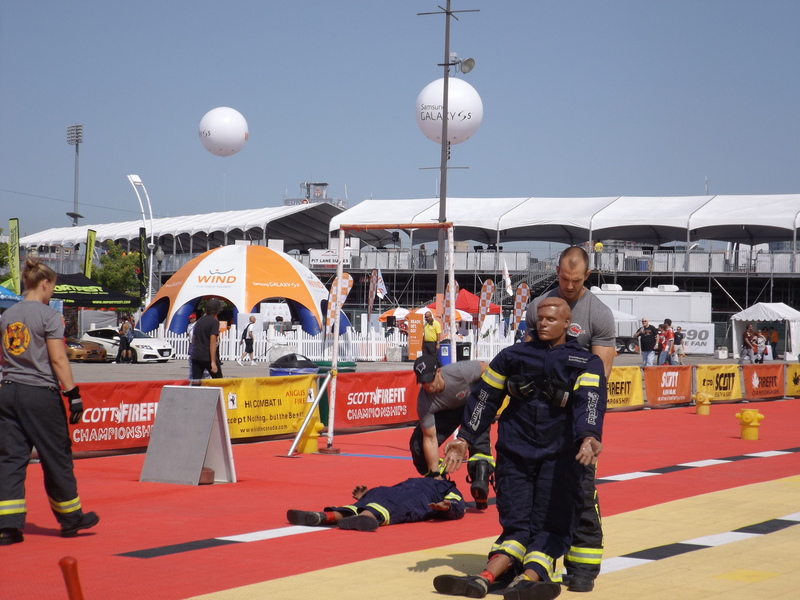 Also, it was created to make sure that all the training sessions are planned out, and all the students are fully informed about their work environment. This program started when the Focus on Youth program started back in 2007. 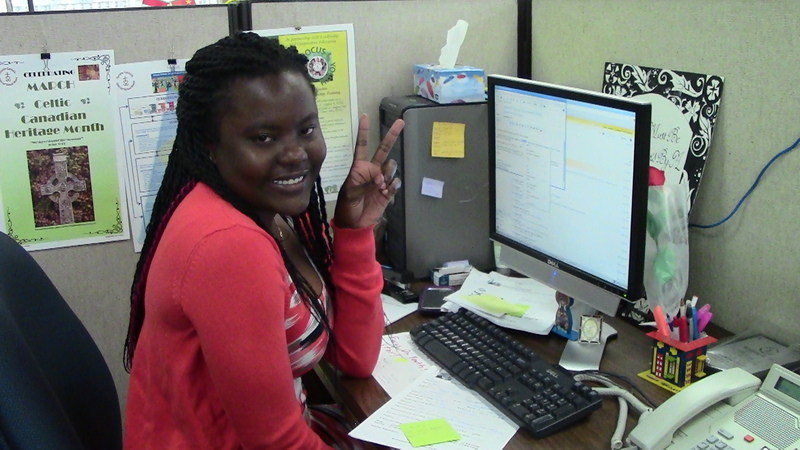 A typical day working in the Administration Department as a Focus on Youth student is quite fun. Khris and Aaliyah start at 9am. From there, they do what jobs their supervisors have for them. They are also in charge of creating newsletters for certain camps. At the end of the week, they also put post up time sheets for that week so that the rest of the Focus on Youth students can put in their hours. 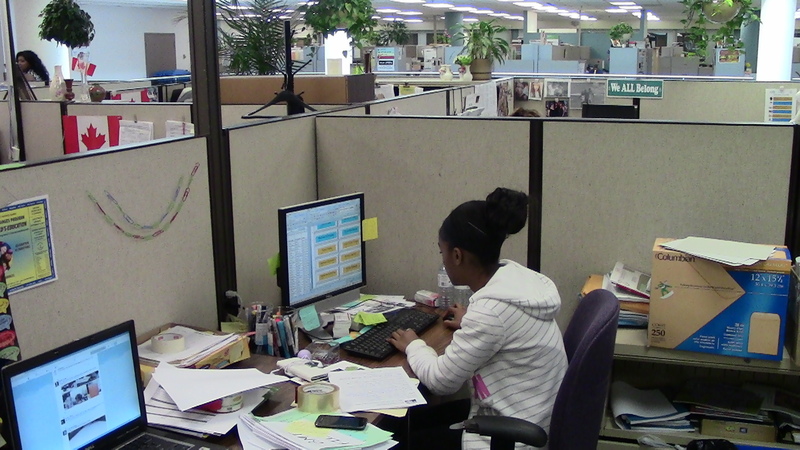 Khris and Aaliyah primarily work under Andre Fullerton and Janelle Curtis. Their day ends at 5pm. Beautiful mural at the office! 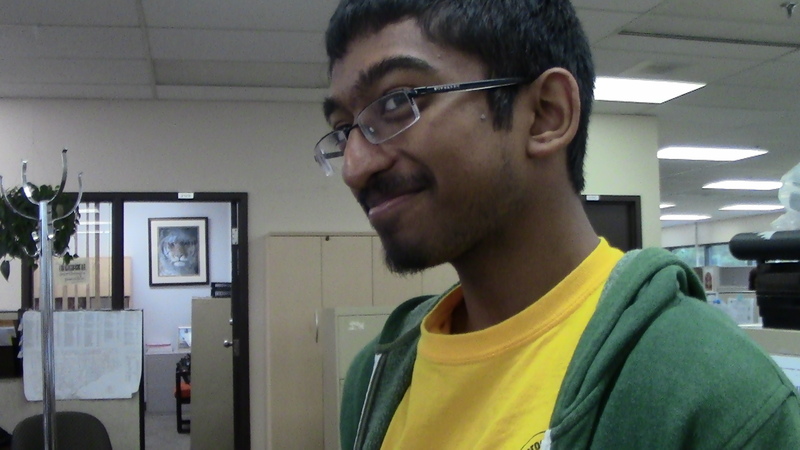 Khris Persaud happy to be at work!